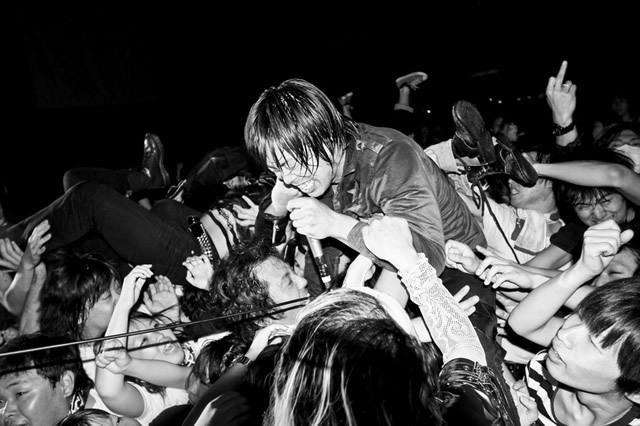 STANCE PUNKS’ name spread overseas when their song “Mayonaka Shounen Totsugekidan” was used as the ending theme song for the movie Battle Royale 2. More recently their song “No Boy No Cry” has been used as the Opening theme song for the anime, Naruto and ‘I Wanna Be’ as the 1st ending of Soul Eater. As of 2005, the band has signed with Sony Epic’s label called “Kowalski Records” under which the single “Mony Mony Mony” was released.